PV Sindhu shares her photo with a sanitary pad on Social media. 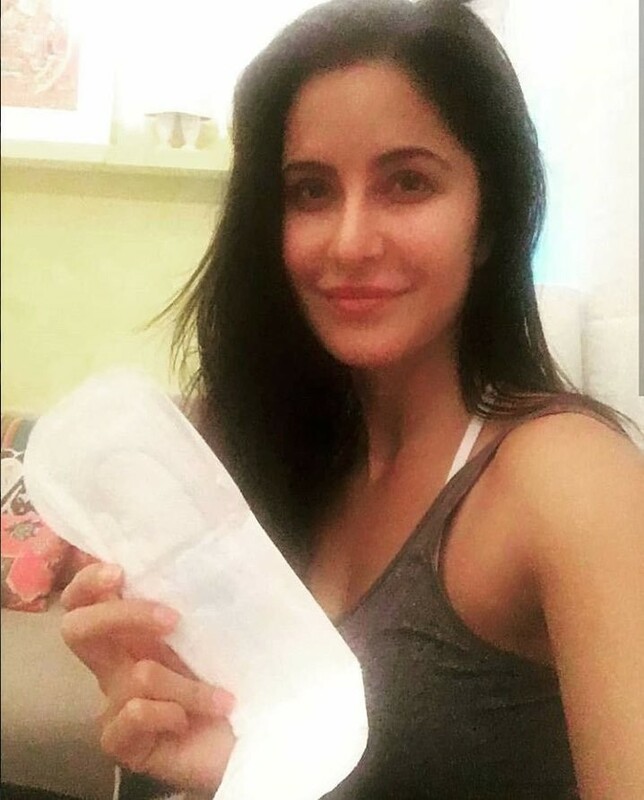 Katrina Kaif shares her photo with a sanitary pad on Social media. Saina Nehwal shares her photo with a sanitary pad on Social media. Ravi Shastri shares his photo with a sanitary pad on Social media. Vicky Kaushal shares his photo with a sanitary pad on Social media.